Collections of the Palace Museum is located in the Forbidden City in Beijing and is a Stunning National museum in the region. The museum concentrates on the art collections of the Ming and Qing dynasties. The collection was expanded in the 20th century due to the new discoveries and other relic acquisition. Give the palace a friendly visit and learn more about the Chinese traditions and art forms that is sure to liven up your day. Free for children under 3.9 feet (1.2 meters), each accompanied by an adult. The Annual Ticket (CNY 300 for 10 entries a year) is only applied to Chinese citizens. Chinese statutory holidays and the summer vacation from July 1st to August 31st. How popular is Collections Of The Palace Museum? 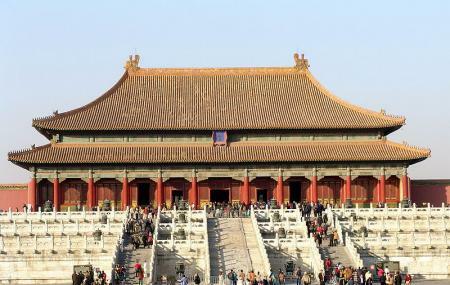 People normally club together Forbidden City and Marco Polo Bridge while planning their visit to Collections Of The Palace Museum.